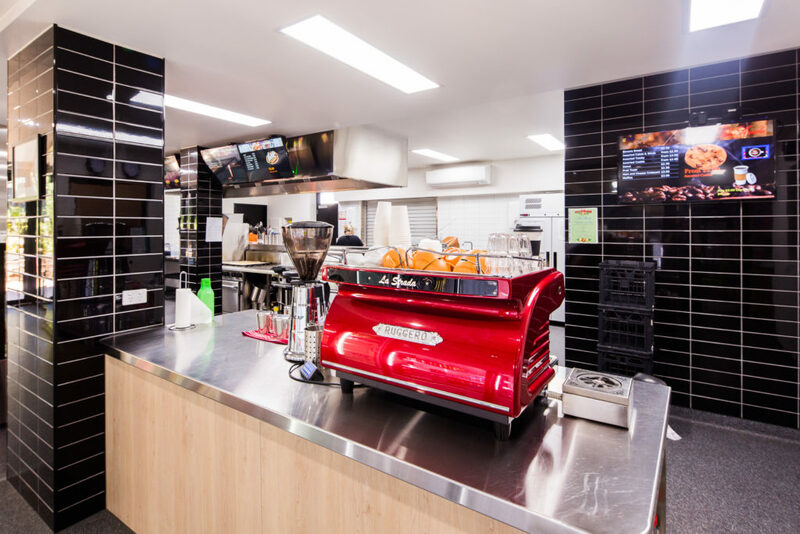 Emmaus College operates Canteens at the Vermont South and Burwood campuses that are open at Recess and Lunchtime each day that students are scheduled for classes. There is a selection of hot food, salads, wraps, rolls and focaccia’s that can be purchased over the counter or made to order via the lunch order system. Lunch Orders need to be written down preferably on a brown, paper lunch bag with the student’s name and their chosen lunch items with money enclosed. Change will be returned in the bag with their lunch. Orders need to be placed in the Lunch Order post box by the end of recess (11am) at the latest. The Lunch Order Post Box is located next to the canteen door. Students can collect their lunch at the ‘Lunch Order Window’ from 12:45pm. Our canteens functions with the assistance of volunteers from our parent body and community. The use of volunteers means that we are able to keep our prices down and foster a community spirit through volunteers that get to know each other and the school. Often friendships are formed, good tips and laughs are shared and a support network is made. Any profits go directly to the school.